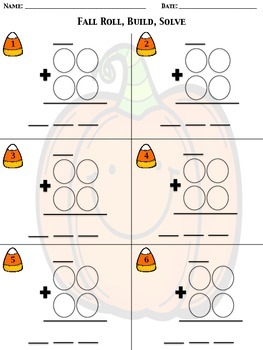 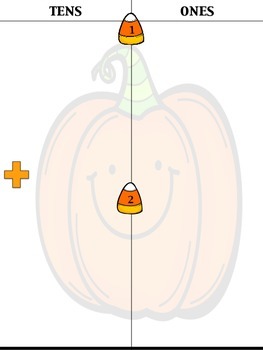 This freebie is a fall-themed two-digit addition dice activity. 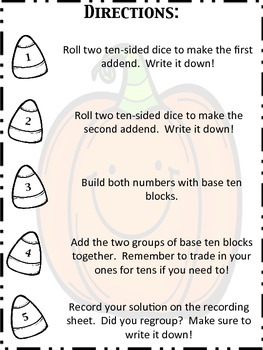 Students will roll two ten-sided dice to determine each addend, build the addends with base ten blocks and then combine and solve. 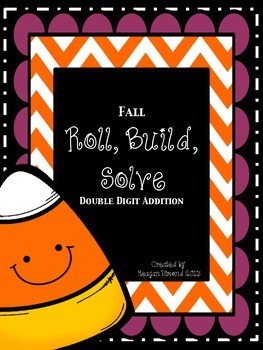 Recording sheets and place value building mats are included!